The objective of the Urban Design Lab is to strike a balance between scientific research, teaching, and practical urban design work in the field. We encourage students to develop practical skills as well as a sound theoretical knowledge in order to enable them practicing in all areas of urban design; in the contexts of spatial and structural design; as well as strategical and conceptual planning. Theoretical knowledge from scientific research and interdisciplinary teaching is also practically applied for urban design consultancy with local communities and the work on ‘real’ planning projects on site. Our scientific research includes urban morphology, urban and architectural history, historical and natural conservation, citizen participation, spatial analysis, urban sociology, community advocacy, place-making, renewal strategies for regional cities, as well international planning systems and Asian cities. Our ambition is to develop a more nuanced understanding of how urban spaces are perceived, used, appropriated, inhabited, designed, governed, and managed in order to contribute best to the evolution of livable cities. Based on the extensive research activities of our graduate students, we seek to propose new design processes that ultimately lead to more user friendly and sustainable urban spaces. Students and teachers of the Urban Design Lab engage in a broad array of research and planning domains, represented by below diagram. However, these spheres of urbanistic action are not to be understood as exclusive. Contrarily, we encourage students to identify new, pressing urban issues, address these in their own, self-initiated research projects and by that deepen our understanding of the complex, interrelated, ever-evolving dynamics of cities in Japan and across the globe. 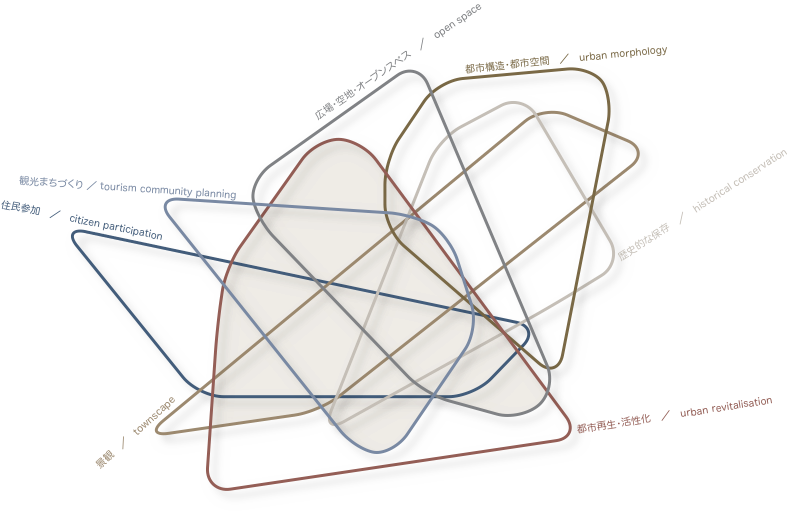 In this section you will soon find a dynamic graphical representation of the UD Lab’s research and knowledge domains. Students of the our Lab carry out research about urban planning systems across the world, citizen participation, historical preservation, management and use patterns of public urban space, urban morphologies, and many more. 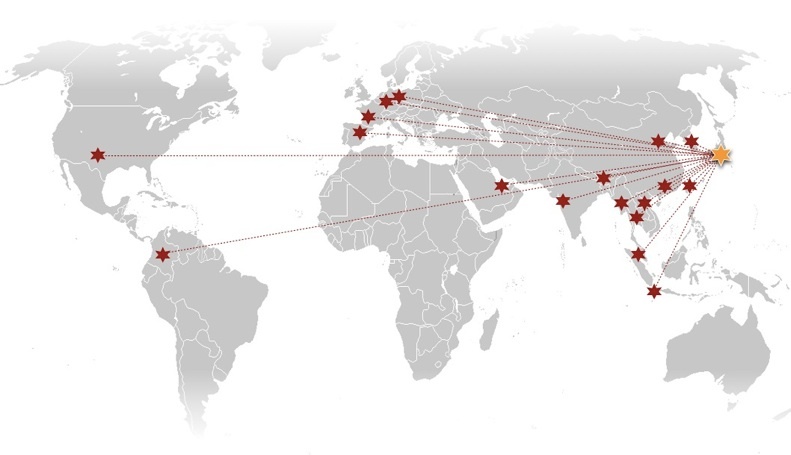 Accordingly, the UD Lab has extended it’s Alumni Network across East Asia and beyond, since it’s foundation by Kenzo Tange in 1960. We collaborate with numerous governmental as well as academic institutions and associations in China, Taiwan, Korea, Vietnam, Bangladesh, Malaysia, Singapore and more. Collaboration, capacity building, and mutual learning are our objectives for international cooperations. During the semester master’s and doctoral students have the opportunity to present the progress of their research in the weekly laboratory, or lab meeting. The meeting serves two functions: First, teachers as well as fellow students can critique the presentations and provide a constructive input that will help the student to improve and refine his research project. Second, by presenting his/her research findings, the student introduces new knowledge to the members of the teaching staff as well as to the other fellow students.